The roll out of a brand new, interactive www.tmaw.org website with infographics and increased social media sharing capabilities to reach larger audiences and recruit more grassroots advocates. Public opinion research that targeted key members of the House and Senate in seven states—the results highlighted the potential political consequences for those who do not help find a Highway Trust Fund (HTF) solution. The unveiling of the “Transportation Investment Advocacy Center ” website (www.transportationinvestment.org)—a first-of-its kind, dynamic education program and internet-based information resource designed to help private citizens, legislators, organizations and businesses successfully grow transportation infrastructure investment at the state and local levels. A “National Workshop for State & Local Transportation Advocates,” with industry officials from 22 states shared best practices and learned how to mount successful state and local transportation investment ballot initiatives and legislative campaigns. The release of a groundbreaking new study by IHS Inc. that measured the far-reaching economic impacts of federal transportation investment on the U.S. economy, including non-construction sectors like travel, mining and manufacturing. Placement of op-eds in the hometown newspapers of key Republicans and Democrats on the Senate Finance Committee in November that explained the importance of the HTF to their state and urging swift action next year. Kentucky Association of Highway Contractors, Inc.
ARTBA thanks them all for their generous support! 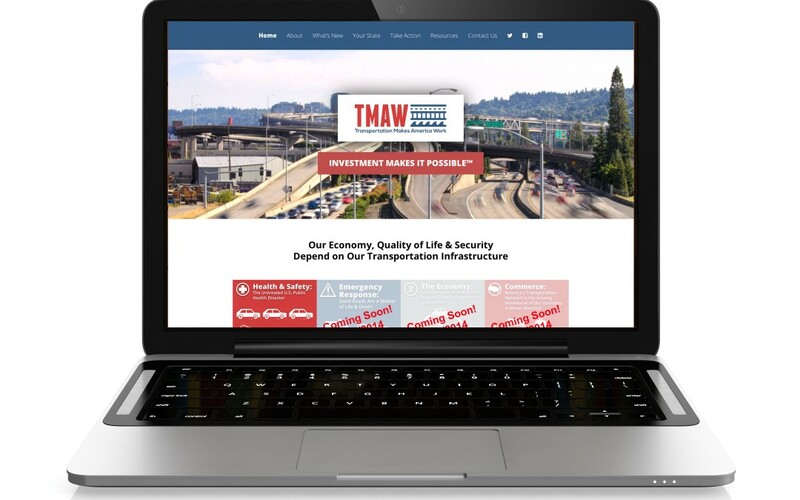 If you’d like to support TMAW in 2015 with its continued focus on pushing for a permanent Highway Trust Fund fix and the reauthorization of MAP-21, contact ARTBA’s Director of Public Affairs Beth McGinn.